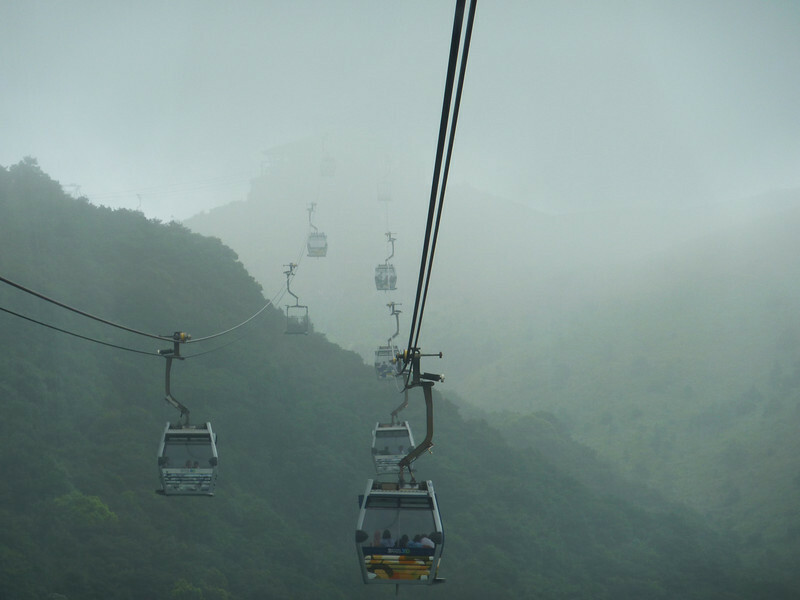 The cable car ride from the bottom of Lantau Island to the peak where Po Lin Monastary and the bronze Buddha are located is a breathtaking journey. The summit is high, and you need to travel into the clouds. No, it's not smoke.